The Precolumbian Maya were closely attuned to the movements of the Sun and the Moon, the stars and the planets. Their rituals and daily tasks were performed according to a timetable established by these celestial bodies, a timetable based on a highly complex calendar system. Agriculture provided the foundation for their civilization, and the skies served as a kind of farmer’s almanac for when to plant and when to harvest. In this remarkable volume, noted Maya scholars Harvey Bricker and Victoria Bricker offer invaluable insight into the complex world of the Precolumbian Maya, and in particular the amazing achievements of Maya astronomy, as revealed in the Maya codices the indigenous hieroglyphic books written before the Spanish Conquest. 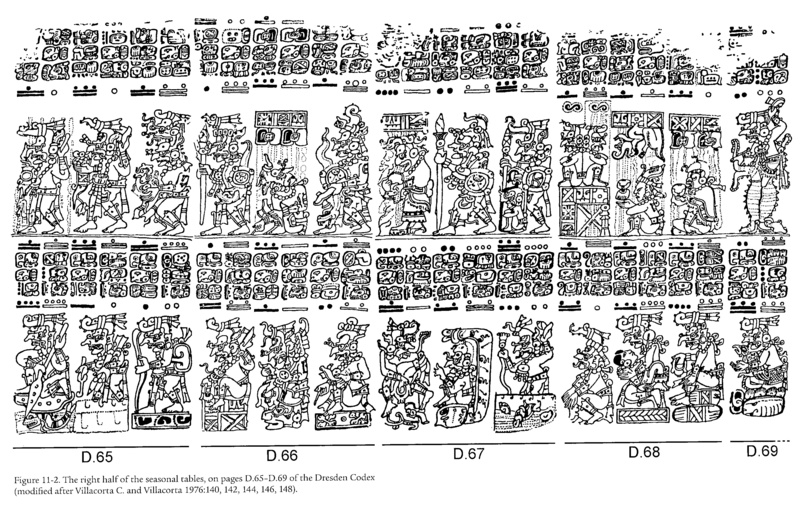 This far-reaching study confirms that, independent of the Old World traditions that gave rise to modern Western astronomy, the Precolumbian Maya achieved a sophisticated knowledge of astronomy based on observations recorded over centuries. Illustrations. “Astronomy in the Maya Codices is the first thorough treatise on the codices since Thompson’s A Commentary on the Dresden Codex four decades ago,” writes Prof. Anthony F. Aveni, the Russell Colgate Distinguished University Professor of Astronomy and Anthropology and Native American Studies at Colgate University. 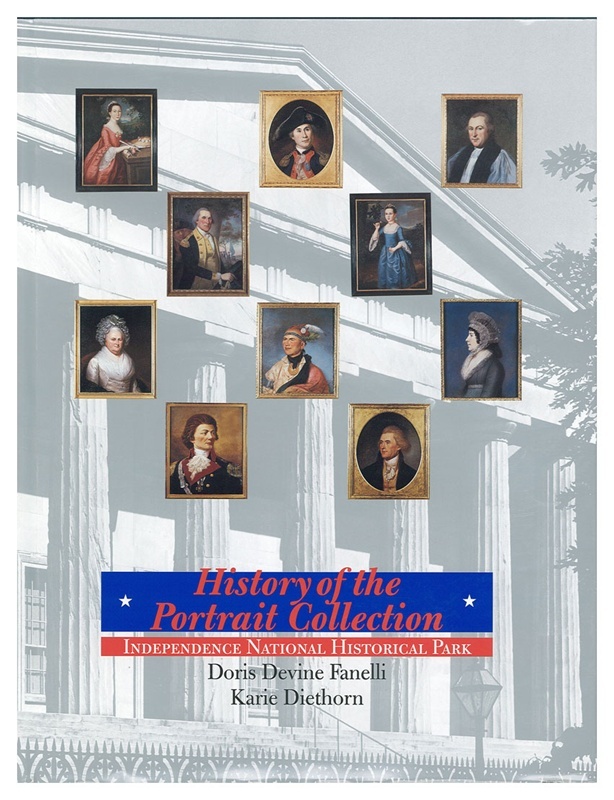 The American Philosophical Society in conjunction with the Independence National Historical Park announces the publication of the first catalog of the portraits in the National Park collection. These portraits, most of which are exhibited in the Second Bank of the United States, consist of 255 works, 109 of them by Charles Willson Peale. Many are likenesses of heroes of the American Revolution and Founding Fathers of American government, statesmen, jurists, men of science, arts and letters. The collection was enhanced by the addition of the works of notable 18th and 19th Anglo-American artists. The book is divided into two sections: a history of the collection dividing it chapters covering works pre-1950, 1850-1900 and 1900-1951, and a catalog. Each catalog entry is enhanced with either a black and white or four-color reproduction and contains a physical description of the portrait, a brief biography of the subject, the circumstance of the portrait’s commission and its provenance. When Benjamin Franklin adopted John Bartram’s 1739 idea of bringing together the “virtuosi” of the colonies to promote inquiries into “natural secrets, arts and syances,” the result was, in 1743, the founding of the American Philosophical Society (APS). 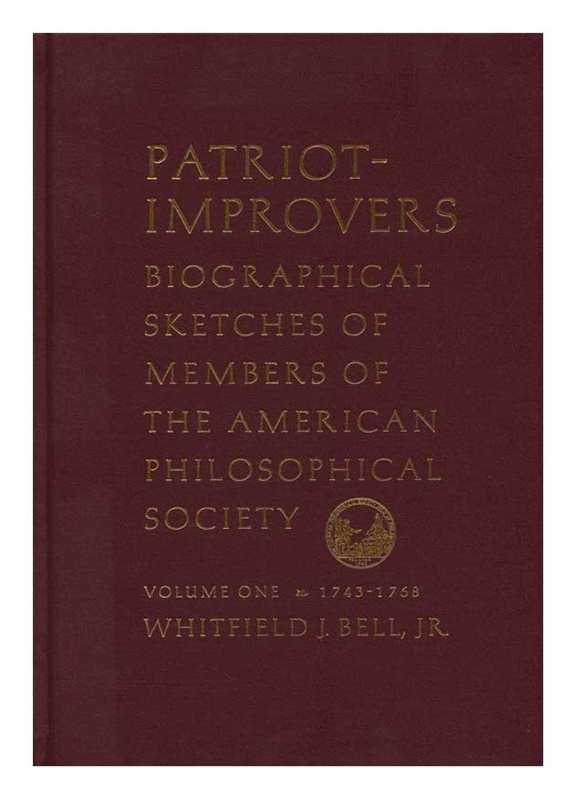 Read more about Dr. Whitfield Bell’s definitive three-volume set of biographical sketches of early APS Members, many of whom were important historical figures in colonial Philadelphia. The three-volume set is a worthy testament to a much loved member of the APS and a handsome addition to bookshelves. 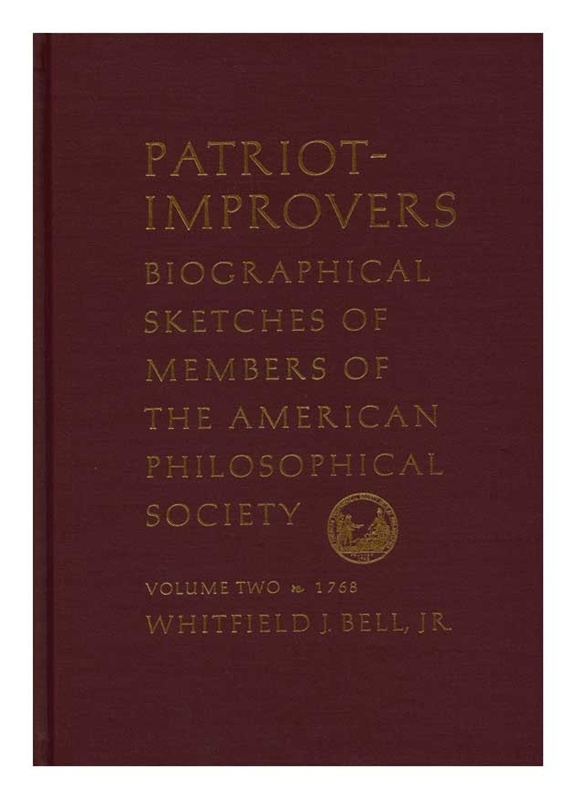 The long-anticipated third volume of Patriot-Improvers brings to an end the important work of Dr. Whit Bell, who started in 1997 to put together “biographical sketches of members of the American Philosophical Society elected between 1743, when Franklin proposed it, and 1769, when it was established on its present foundation by the union of several earlier institutions” (Patriot-Improvers, Volume One, p. xiii). 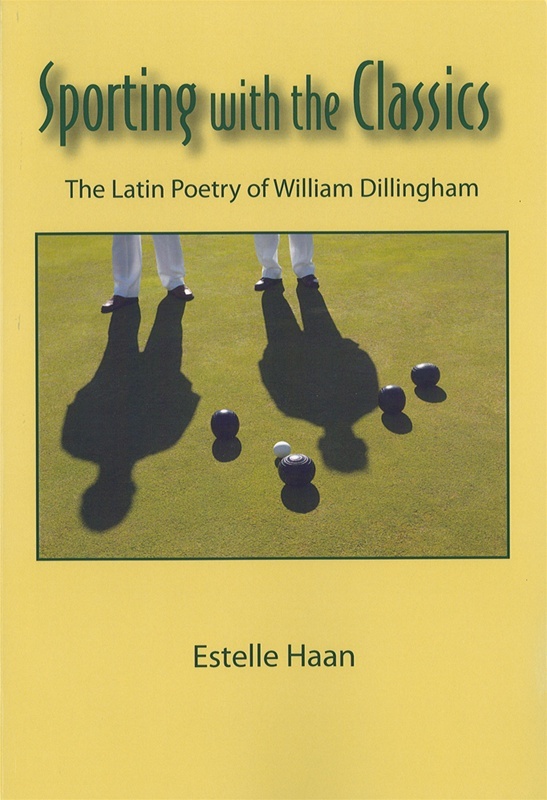 Work on this third volume was completed by APS Librarian Charles Greifenstein after the death of Dr. Bell in early 2009. The three-volume set is a worthy testament to a much loved member of the APS and a handsome addition to bookshelves. When Benjamin Franklin adopted John Bartram’s 1739 idea of bringing together the “virtuosi” of the colonies to promote inquiries into “natural secrets, arts and syances,” the result was, in 1743, the founding of the American Philosophical Society. Bell, records the early years of the Society through sketches of its first members, those elected between 1743 and 1769. This is the second of three volumes of sketches that represent, “the first systematic attempt to collect and preserve data on the lives of [the Society’s first] members” and add much to our knowledge of the history and culture of 18th-century America. Contents: Sketches of Members inducted from 8 April-20 Dec. 1768; History of the Medical Society 1766-1768 and Sketches of Members; and Portraits of 31 Members. When Benjamin Franklin adopted John Bartram’s 1739 idea of bringing together the “virtuosi” of the colonies to promote inquiries into “natural secrets, arts and syances,” the result was, in 1743, the founding of the American Philosophical Society. Bell records the early years of the Society through sketches of its first members, those elected between 1743 and 1769. 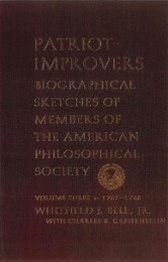 This volume includes biographies of some of the Society’s best known members such as Franklin, David Rittenhouse, John Bartram, Benjamin Rush, John Dickinson, Thomas Hopkinson and many lesser known merchants, artisans, farmers, physicians, lawyers and clergymen with familiar surnames such as Biddle, Colden, and Morris. Illustrations.